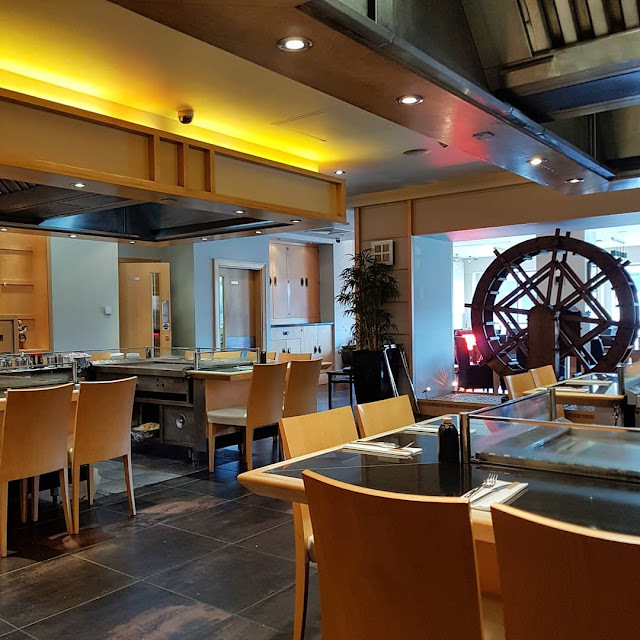 I had never been to a teppanyaki restaurant until I visited Sapporo Teppanyaki in Manchester with my sister Charlotte, when we were invited to review a complimentary meal. Located near Deansgate (and around the corner from the Science and Industry Museum), Sapporo Teppanyaki describes itself as a fun and relaxed dining experience. 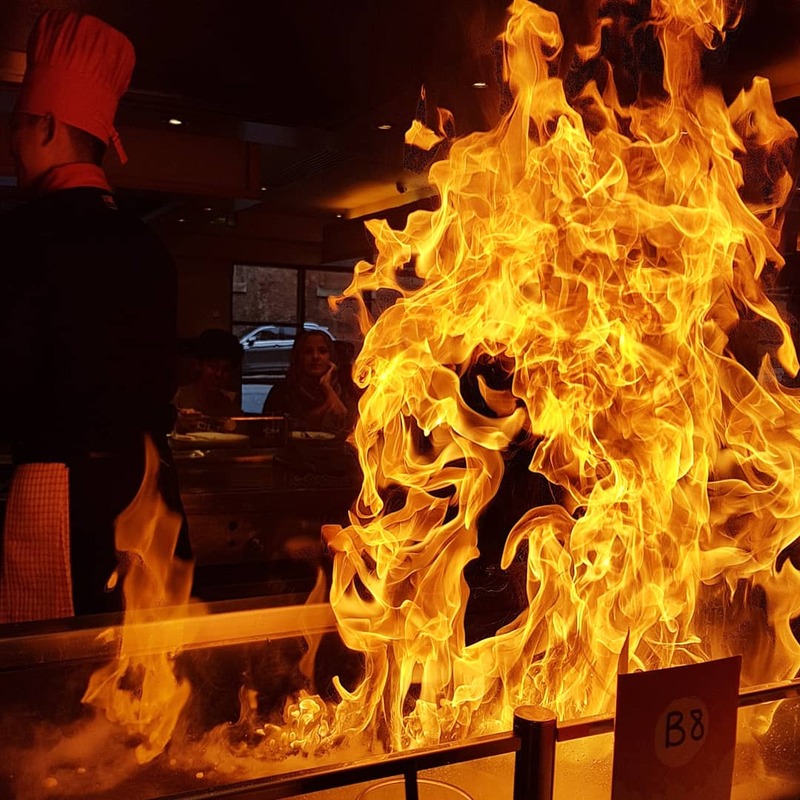 Teppanyaki is the Japanese cuisine whereby food is cooked on an iron griddle – teppan mean iron and yaki means grilled, broiled or pan fried. I’d definitely agree that it is an experience more than simply a meal. Guests are seated around two grills in a group of up to 20 people and two chefs are in the centre, preparing your meal in front of you. 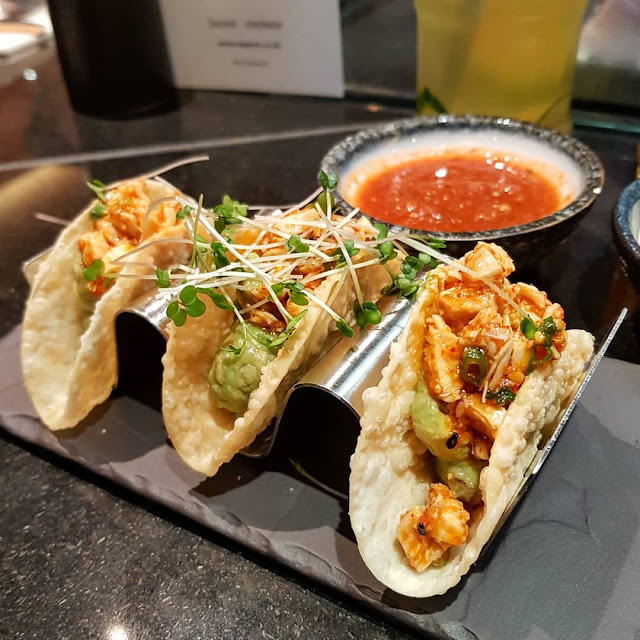 Whilst there are a number of different Japanese delicacies on the menu, Charlotte and I decided to share three small plate starters between us before our mains of the traditional teppanyaki dishes. 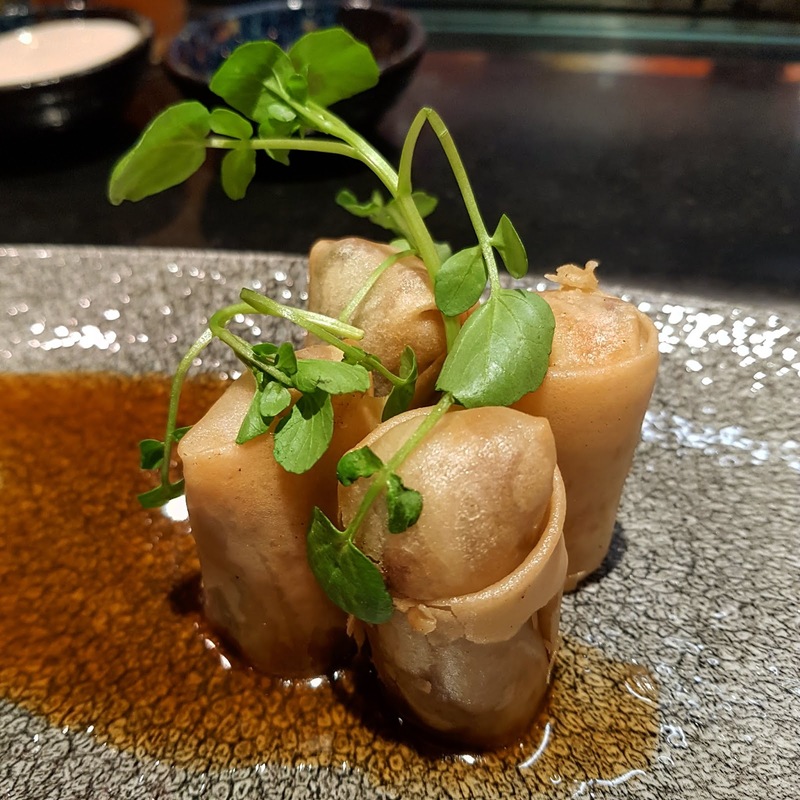 We started with duck spring rolls, gyoza and chicken tacos which were served in a gyoza shell. After trying (and failing) to eat with chopsticks, we both really enjoyed the starters. 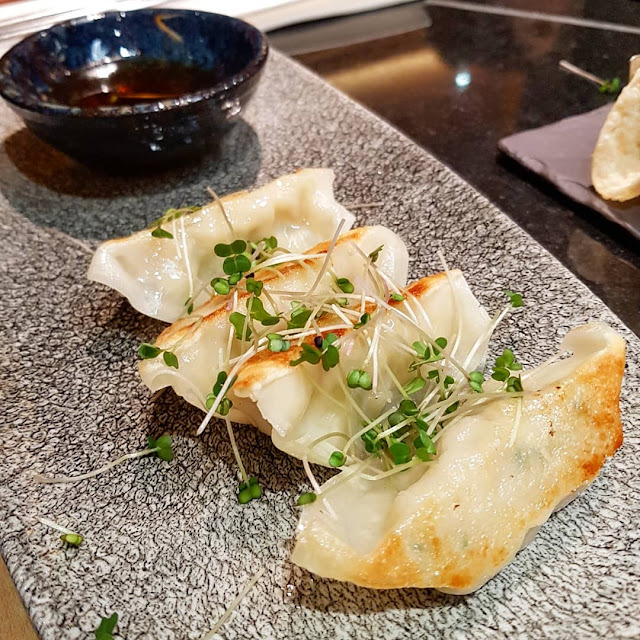 My personal favourite was the gyoza, which come with either a chicken or vegetable filling. Charlotte loved the tacos – they were a spice, Japanese twist on traditional Mexican tacos and were delicious. 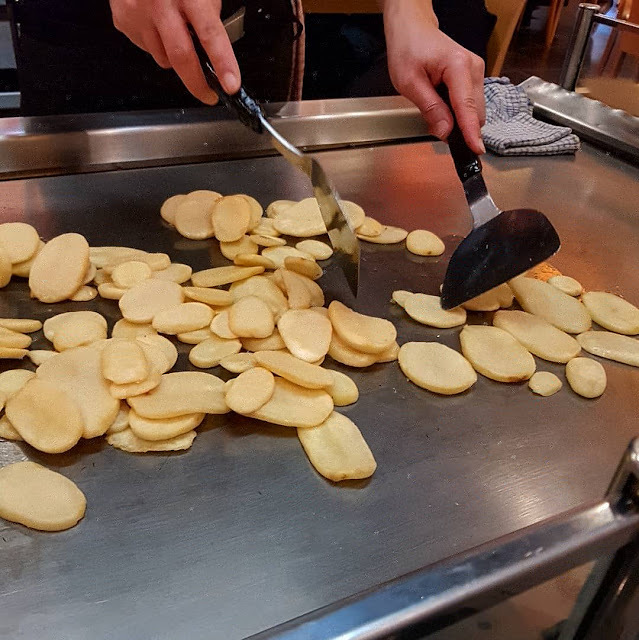 Whilst we enjoyed our starters, the chefs had begun preparing the potatoes and vegetables on the griddles in front of us. This was where it felt like a performance as the chefs were joking around with the guests and part of that includes throwing a slice of the cooked potato at each guest to catch in their mouth. The highlight was watching a piece of potato bounce off my sister’s forehead. The potatoes and vegetables are served to the table as the meat is cooked and it is traditional to eat as things are prepared so we nibbled on that as we watched the meat being cooked. Charlotte ordered salmon and I had duck breast, both with teppanyaki sauce. The meat and fish were both marinaded and cooked to perfection, it was delicious. I never normally have duck at home, but it was really flavoursome and rich – I struggled to finish it. The last thing to be cooked was the egg fried rice, again, cooked on the griddle in front of us then served in bowls. 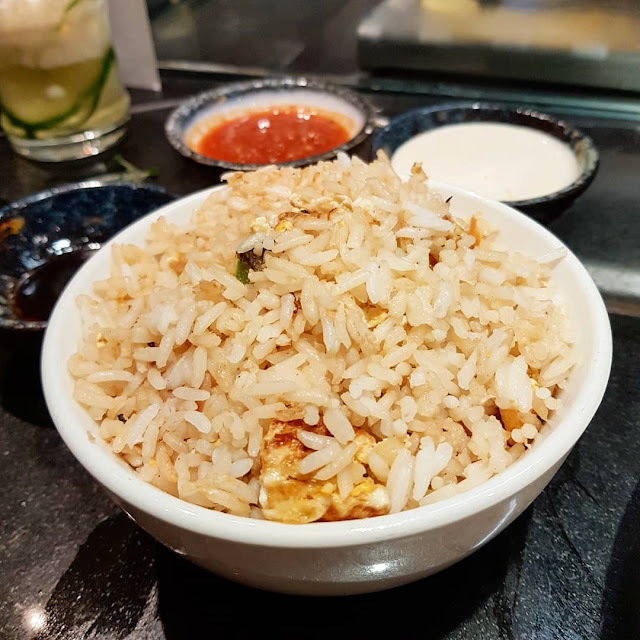 We were seriously struggling to finish our food by the end of the meal as the combination of potatoes, vegetables, meat and rice meant for a massive portion size – especially after sharing three small plates! You definitely get value for money. 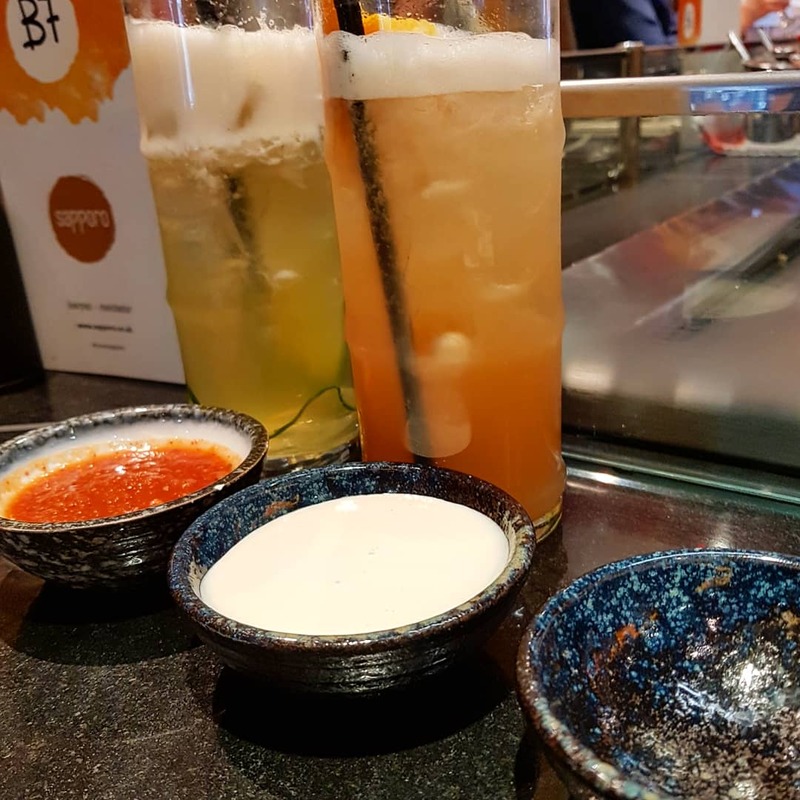 Though our visit was complimentary to review, our bill would have been around £70 for both of us, for two mocktails, three small plates and two teppanyaki mains. From a dietary perspective, it’s the kind of place which absolutely works if you’re gluten free and we worked out that though the food is cooked in what looks like quite a lot of oil, per person, it isn’t too bad and if you’re visiting Sapporo Teppanyaki whilst on Slimming World, it would probably be around 12 syns for a teppanyaki main. 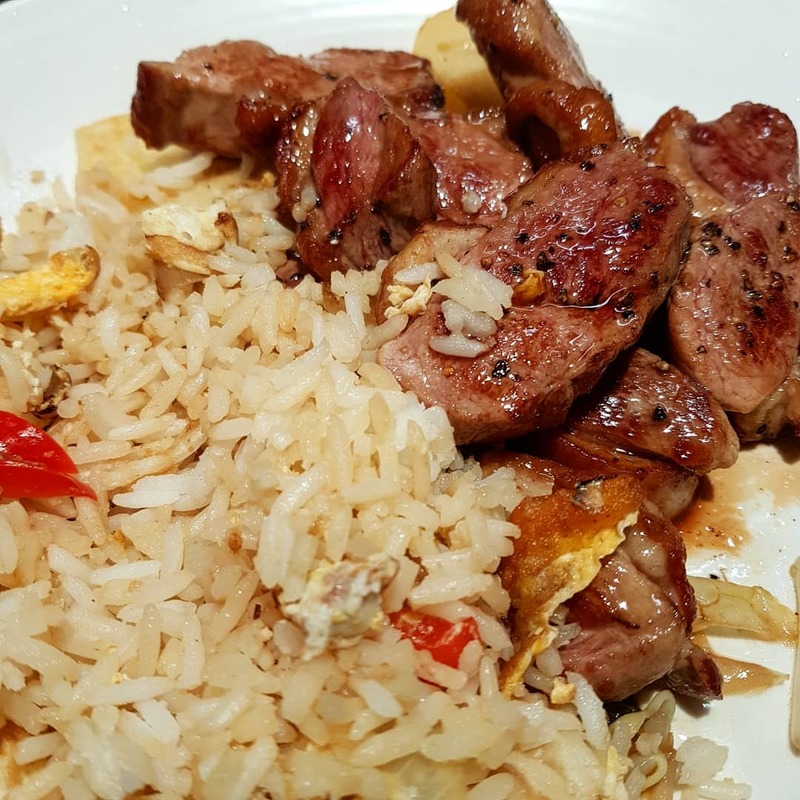 Would I go back to Sapporo Teppanyaki? Absolutely. I think it would be a really good experience for both a big group, family or a couple – the kids who were there seemed to be really enjoying the experience, as much as their parents were. 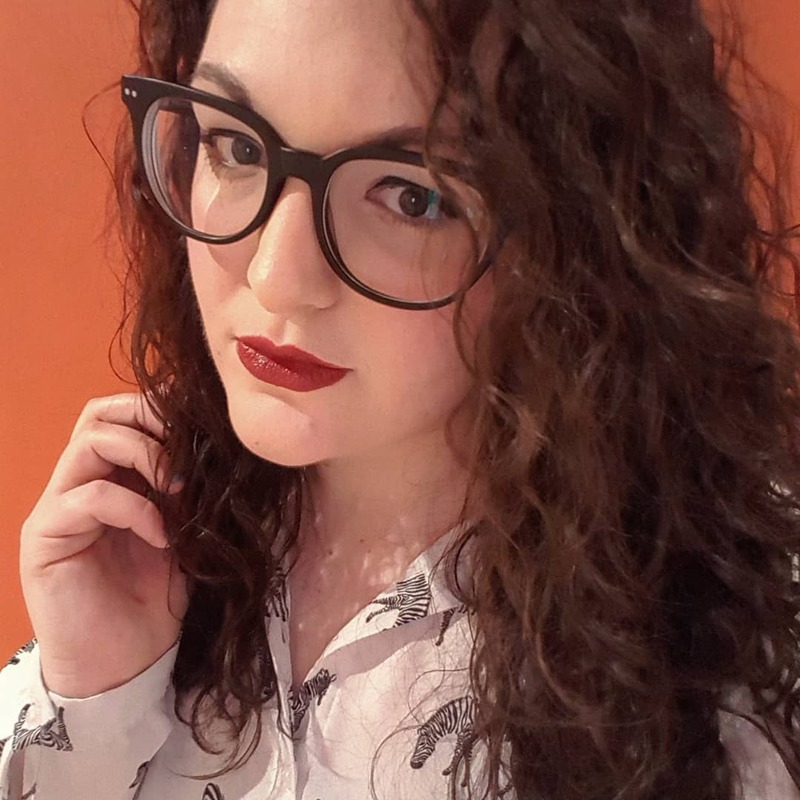 The food was incredible, it was something so different to what I’ve ever had before as a dining experience and though there is a novelty factor of the performance, the food is absolutely delicious. Have you ever been to a traditional teppanyaki restaurant before? Let me know in the comments.